We can replace your existing door, or the frame and door assembly, and all frames are weather sealed to provide maximum draught proofing seal. Whatever the size, shape or function of door you require, One Step Joinery can produce it to your specification in our fully equipped workshop. We use a range of hardwood and softwood timber to manufacture doors which can then be painted or stained in our workshop before being fitted. It is also possible to match an existing door. 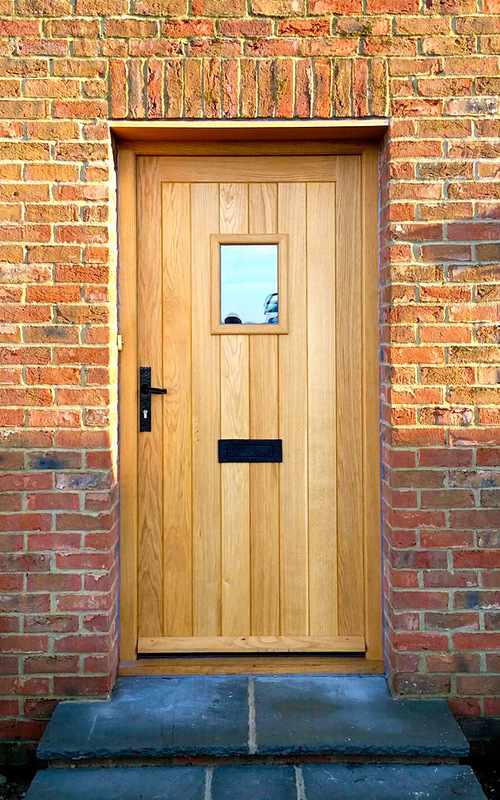 Ask us for a no-obligation quotation for manufacture and installation of bespoke, professionally crafted hardwood or softwood doors.